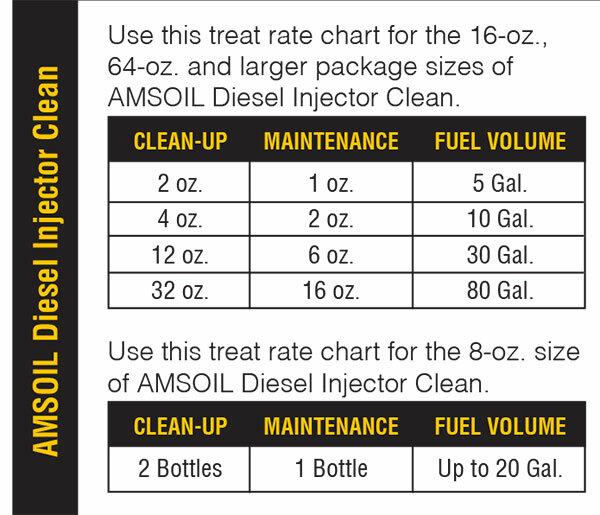 Diesel Injector Cleaner AMSOIL Diesel Injector Clean features advanced chemistry that delivers concentrated strength to target internal diesel injector deposits and traditional carbonaceous deposits, restoring horsepower and operability to like-new condition and improving fuel economy up to 4.5 percent. Diesel Injector Clean’s powerful formula cleans fuel injectors and piston rings for improved combustion and better sealing. It minimizes soot generated from incomplete combustion and helps keep soot out of the crankcase, reducing soot-related wear and engine oil viscosity increase. Mechanical engineer Mark Nyholm is a diesel enthusiast who is truly happy to have found a career working with something he loves. Mark is Technical Product Manager – Heavy Duty here at AMSOIL, a position for which he is well-suited being technically and process oriented as he is. 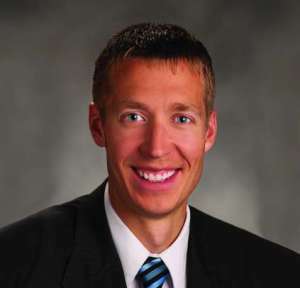 Before arriving here he had experience in automotive design, aerospace design and medical device equipment design. Having so much on the line spurs him on to pay attention to the most finite of details. “And in the end,” he says, “I always want to know why.” Why did this happen and not that? Here at AMSOIL he drives his department to dig into the nitty gritty and provide solutions with lasting benefits for customers. In addition to managing our diesel oil line, Mark helps develop best-in-class diesel fuel additives. One of these is AMSOIL Diesel Injector Clean, a product he’s always available to talk about. AMSOIL: Why is this product important? Mark Nyholm: Diesel Injector Clean is a must-have product for diesel-burning engines for two very important reasons: 1) Ultra-low-sulfur-diesel (ULSD) fuel needs additional lubricity to help protect the fuel pump and injectors from wear. 2) Direct injection diesel engines suffer from deposit formation on the injector nozzles and now on common rail engines deposits form inside the injectors. Diesel fuel alone cannot stop these deposits from forming which is why our diesel injector clean is properly formulated to remove deposits and keep your injectors and combustion chambers clean. AMSOIL: How and why do deposits form on injectors? MN: Most diesel engines these days are direct-injected, which means the injector is partially inside the combustion chamber. When fuel is burned, there is very little chance it can burn absolutely completely. Partial burn of the fuel can lead to deposit formation in the combustion chamber and on the injector nozzle. Due to the design of the common rail injector, deposits now have been found inside the injector which can affect injector performance. AMSOIL: What happens if you do not clean your injectors from time to time? MN: Injectors that do not receive a maintenance dose of Diesel Injector Clean will build enough deposits plug nozzle spray holes and disrupt the spray pattern of the injector. All of these deposits end up reducing the performance of the injector and engine output. Ultimately, this can lead to component replacement or engine failure. AMSOIL: What is the material that ends up deposited on injectors? MN: The deposits that form on the nozzle are carbonaceous in nature. These are deposits of unburned fuel. 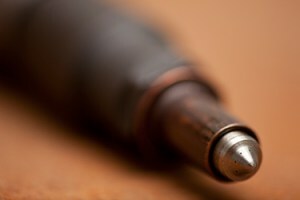 The deposits that form inside the injector are called internal diesel injector deposits (IDID). 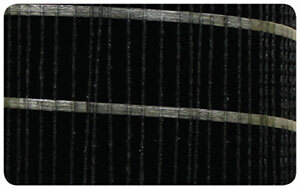 These deposits are of a different form, typically a waxy deposit that forms on the inside of the injector. AMSOIL: What is a high-pressure common-rail (HPCR) fuel system? MN: An HPCR fuel system consists of a high-pressure fuel pump, a fuel rail or common rail and individual lines that feed the injectors. The high-pressure pump provides the pressure required by the engine, and the common rail provides a constant supply of high-pressure fuel to supply the injectors can pull from. 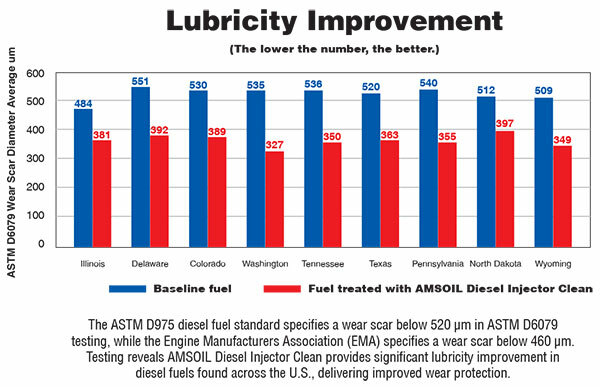 AMSOIL: Why have high-pressure common-rail fuel systems become the norm in today’s diesel engines? MN: The HPCR system is becoming widespread common these days due to its capability to provide high-pressure fuel to injectors that can fire multiple times per combustion cycle. This technology is responsible for today’s diesel engine sounding quieter, producing more power, using less fuel and producing fewer emissions. AMSOIL: What else would you especially like people to know about this product? MN: Buy it. It’s the best on the market. Seriously though, our product is concentrated to provide customers an immediate to near immediate difference. We formulate our product with the best performance in mind to protect the engine and provide long lasting reliability from your investment. Have used this for years in diesel pickups (RAM Cummins), as well as Volkswagen diesels. Added at each fill-up. Kept everything running smoothly and clean. Just bought a diesel motorhome. That’s next!